To the public, Carrie Fisher was known an actress in “Star Wars” and other films and TV shows and as an author. 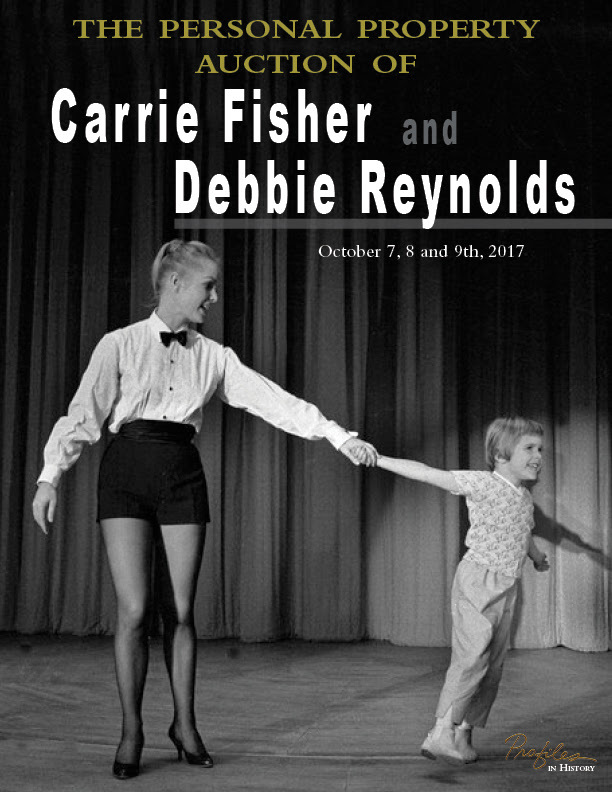 In Hollywood circles, she was also known as a hostess, raconteur, and lifetime collector — as was her mother, Debbie Reynolds, who died the day after Fisher in December 2016. Fans will have a chance to bid on more than 1,500 items from Fisher and Reynolds’ personal collection of “Star Wars” memorabilia, antiques, and collectibles. The auction is over 3 days, October 7th, 8th and 9th at Profiles in History’s Calabasas location and online at the Profiles in History website. The “Star Wars” actress lived in a Beverly Hills compound with Reynolds occupying another house on the property. The 3.5 acre estate will also be put up for sale starting at a reported $18 million. Items from the auction catalog include life-sized figures of Princess Leia, C-3PO and Yoda; a pair of ruby replica slippers from “The Wizard of Oz” owned by Debbie Reynolds; Reynolds’ costumes from “The Unsinkable Molly Brown,” “Singin’ in the Rain,” and “Annie Get Your Gun” and Fisher’s Biedermeier-style writing desk. The auction will benefit The Thalians and the Jed Foundation.